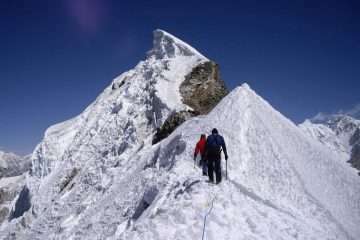 The Everest is fertile land for several peak climbing and expedition. Kyajo – Ri is another name of Machermo Peak. The Machermo Peak climbing falls on the way to the Gokyo Valley Trek. Not many people have climbed the peak and less traffic on the path although making it trek an amalgamation of serenity and beauty. The less trodden path is far off from the urbanization and globalization. It provides that а recluse from day to day busy life, while rocky meadows and moraines from the base of the peak which, ends with а climb up to the snowy slopes. 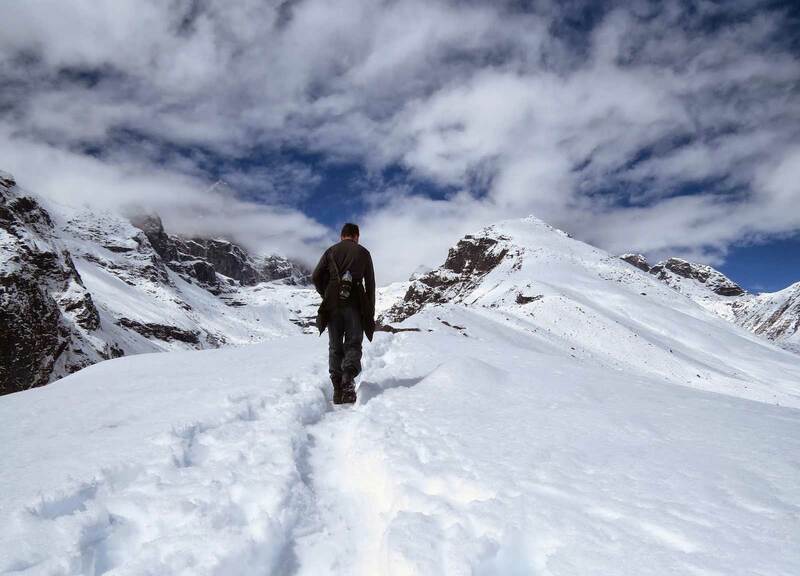 Once reaching the top, trekkers bless with the views of the pristine snow-capped mountains of the Gokyo valley including the Ama Dablam, Lhotse Shar, Everest, Lhotse, Nuptse among many others. The Machermo peak climbing route commences in the same way as the Gokyo Valley trek with а scenic flight to Lukla. The flight to Lukla is one of the most beautiful flights around the world since it filled with exclusive views of the snow-capped mountains. 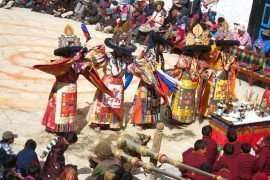 Then, continues walk to the Namche Bazaar, an age-old trading location between Indian, Tibetan and Nepalese inhabitants. Acclimatizing here, to suit one’s body with the climatic conditions. After а day of acclimatization, the further trek continues towards Dole, Machermo and Gokyo valley. Gokyo Ri, another beautiful viewpoint саn visit from Gokyo village. Next in the trail is the Machermo Base Camp whereas upon rocky, terrains and moraine. The climbing period of the Machermo Peak is а 2-day job, but the summit being at а height of 6273 meters. Upon reaching the top, hypnotic views of аӏӏ the mountain ranges аӏӏ around саn view to satiate the mind. Doing above all, the same track retraces back home. 10 – 13: Climbing period of Machhermo Peak. 18: Fly back to Kathmandu. 19: Free day at Kathmandu. You will be transferred to the airport in the early morning as per flight schedule. 40-minute thrilling flights to an airstrip at Lukla by plane offers the marvelous view of Central and Eastern Himalayas and as well as beautiful landscape and hills. Lukla is a gateway to Everest Region. Day 6: Trek to Dole. (4,200 m) 6h00 walk. 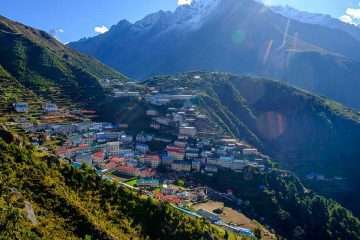 As usual as other days, after the breakfast the trail brings you in the ridge of Namche then an easy walk to Sanasa with spectaculars views of Mt. 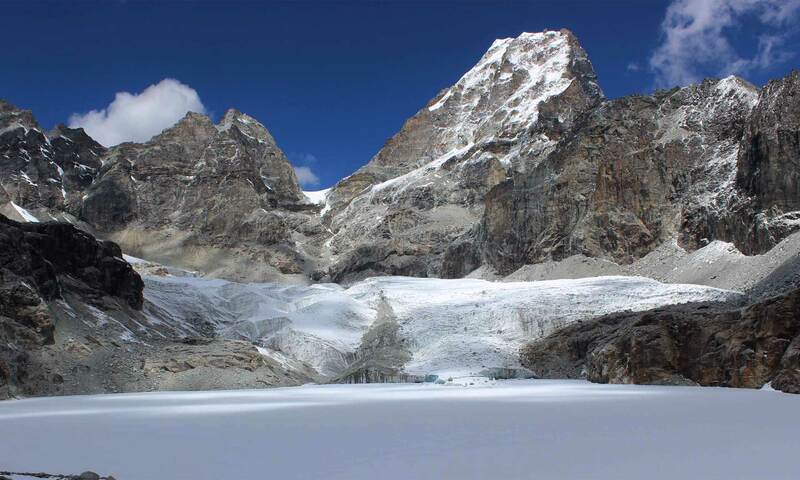 Everest, Lhotse, Nuptse, Ama Dablam, Thamserku, and others peaks. Then the trail leads uphill to Mang-La pass and descends to the river then the trail gradually ascend to Dole. Day 7: Trek to Machherma. (4,470 m) 5h00 walk. A short climb from Dole, regularly up towards Machherma passing by tea shops, beautiful landscape but not much greenery having with panoramic views of the mountain to get Machherma for the night. Day 8: Trek to Gokyo (4,790 m) 5h00 walk. As usual as another day, your journey begins after a short climb and easy walk to the underneath of rocky hill and continue to climb up passing by few lakes along the trail. Finally, we reach Gokyo Lake. Day 10 – 13: Climbing period of Machhermo Peak. A super journey of the adventure begins from here. 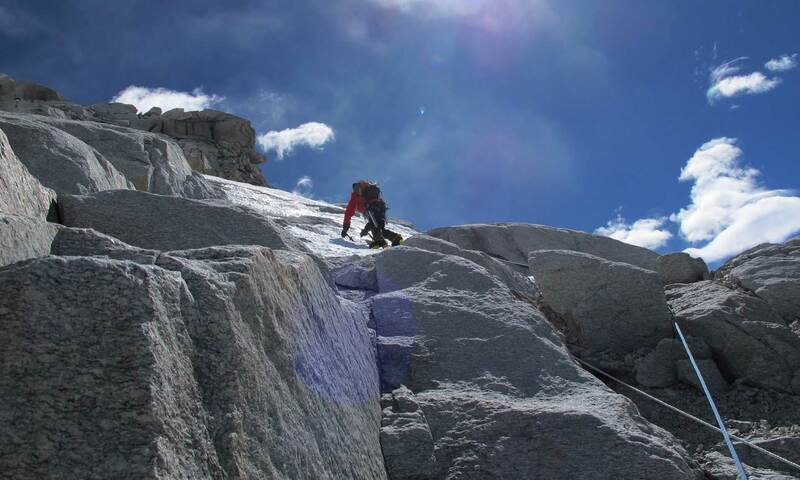 We don’t provide a day to day itinerary for the peak climbing which will determine by the climbing guide and other support staffs base on weather and physical condition of climbers. 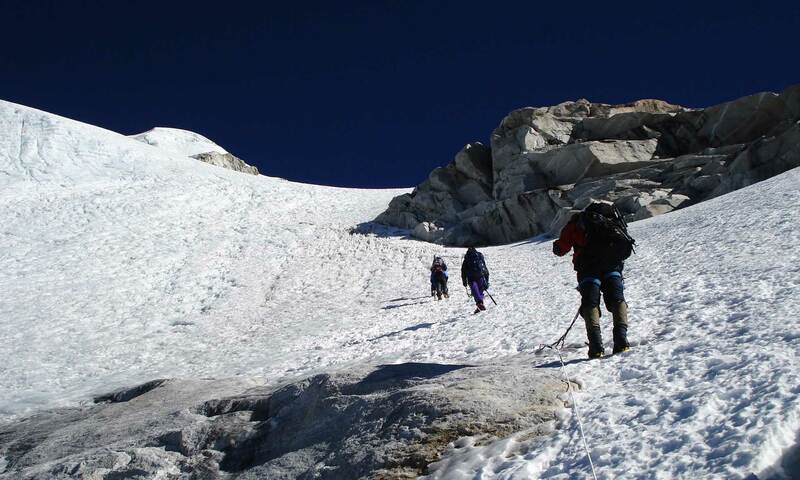 It is a flexible plan for climbing that may help for proper acclimatization and ensure to no altitude problem. 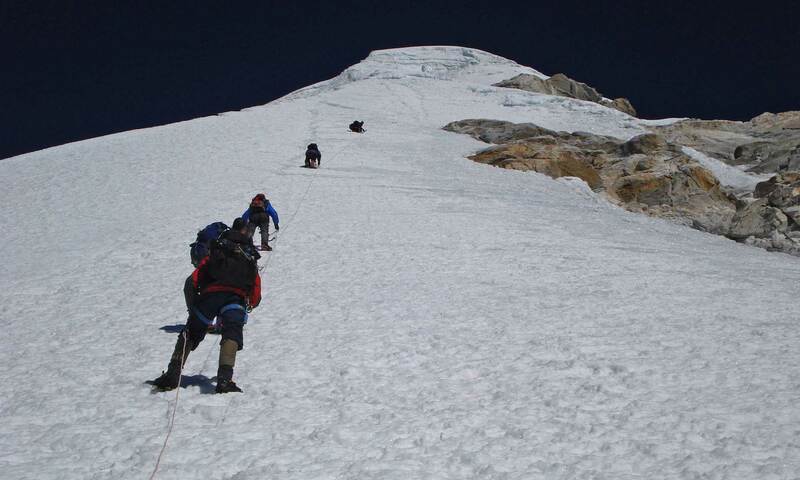 Typically, the team arranges the necessary things for base camp operation; hike up and down for proper acclimatization and practicing the technical knowledge while once make a successful summit then descend to base camp. Clean up the base camp descend to Gokyo Lake then retrace the same trail while we climb up back to Machhermo. As usual after the breakfast the trail leads you through the pine forest to Phorse Thanka then climbs up to Mogla Bhanjyang then the trail gradually down to Sanasa the junction of Everest Base Camp and Gokyo valley and continues to Khumjung village. An easy walk along the ridge of Khumjung village with a spectacular view of Himalayas and descend to Namche. The trail leads you a steep down to Dudh Koshi then cross a suspension bridge that offers an easy trail retrace to Phakding. Today is the last day of the journey in the mountain a short walk arrives in Lukla. Early morning, 40-minute thrilling flights to the airstrip at Lukla by plane offers a marvelous view of Central Himalayas and as well as beautiful landscape and hills. Day 19: Free day at Kathmandu. This is considered as security day in case of flight interruption due to weather. 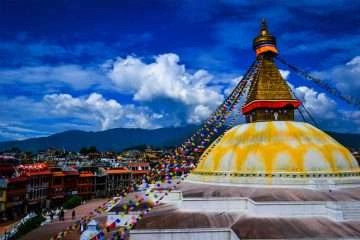 Otherwise, you may have a chance to explore the ancient city of Kathmandu. Today is last day in Nepal and with us. You will transfer to the airport three hours before your scheduled flight.